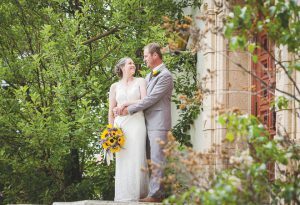 Townie Books will be hosting two signings this weekend in conjunction with the Wildflowers Festival. On Saturday June 7th from 3:30 to 5:30 p.m. Linda and Bernie Nagy will be signing their wildflower guide, Rocky Mountain Wildflowers Field Guide. Then on July 8th from 10 a.m. to noon Judith Cassel-Mamet, who is teaching several workshops will be signing and talking about her art journaling book and new workbook, Joyful Pages and the Joyful Pages Playground. Tennis players of all levels are invited to play mixed doubles every Friday night during the summer, beginning this week on July 6. Just show up at the Crested Butte town courts by the visitor center at 5:30 p.m. (or a little earlier to warm up). Everyone plays three or four sets with different players, who are randomly assigned. The cost is $5 per week or $20 for the season; please bring cash. The fee goes toward purchasing tennis balls, with any remaining funds used for tennis-related projects. Explore the world of indigo dyeing at a special workshop on July 12 to benefit the Trailhead Children’s Museum. Board member Melissa Fenlon, along with Laci Wright of One Tribe Threads, will be teaching the fundamentals of this centuries-old natural dyeing technique, along with the basics of shibori, concentrating on folded and clamped resist. The workshop will be held Thursday, July 12 from 5:30 to 7:30 p.m. on the lawn at Scout’s General. Tickets are $75 per person, which includes all materials, several finished pieces, wine and appetizers.Visit trailheadkids.org to purchase workshop tickets. Bring your bow up to the ski area on Tuesday, July 10 and learn from professional archer and West Elk Archers club representative, Ryan Johnson. Archery clinics are open to all ages and ability levels. For youth entry level participants, several children’s practice bows will be available at the sight in range to share; however, most participants should plan to bring their own bow and arrows. All sessions will meet in the base area at Evolution Bike Shop for check in. Clinic formats will vary from week to week, so catch them all for a well-rounded training opportunity. The $10 Clinic fee includes one lift ride and clinic will be offered on July 10, July 24 and August 7. Visit www.skicb.com/archery for more information. 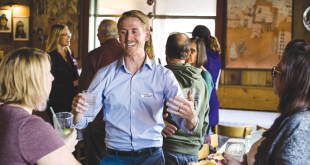 Crested Butte mayor Jim Schmidt, Crested Butte Mountain Theatre executive director Stan Weil, and the CBMT’s board of directors will hold a ribbon cutting ceremony at 5:15 p.m. on Thursday July 12 and welcome the entire community into the newly renovated Mallardi Cabaret Theatre. 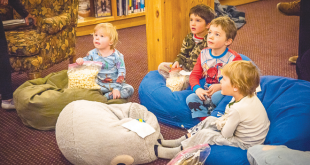 Help the theatre celebrate its fifth decade of community theatre from 5 to 7 p.m. and see the hard work town staff, volunteers, and contractors have put into updating this historic theatre in Crested Butte’s Old Town Hall, 403 Second Street, right off Elk Avenue. Complimentary appetizers from Creative Catering and beverages will be provided, as well as entertainment. 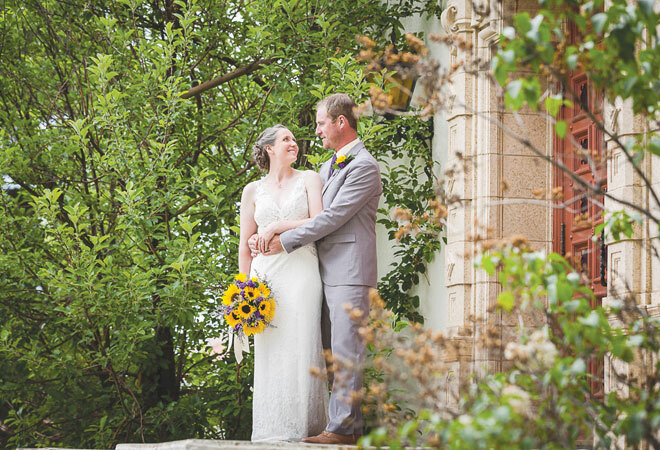 CONGRATULATIONS: Jake Johnson and Kelly Berger were married at the I Bar Ranch on Saturday, June 16. 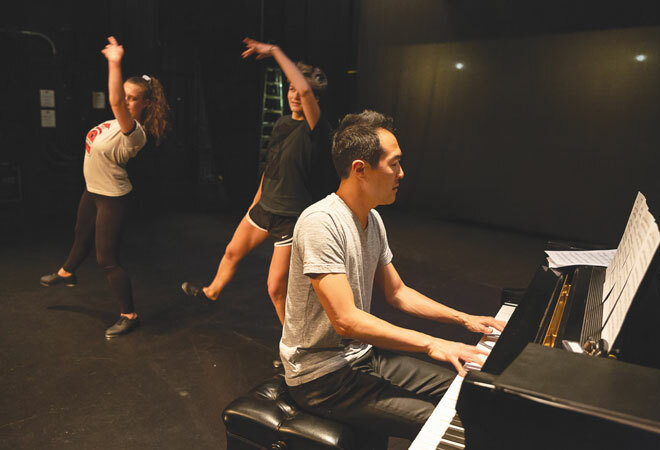 MASTER CLASS: Pianist Alpin Hong led a special workshop at the Center for the Arts on Wednesday, June 27. 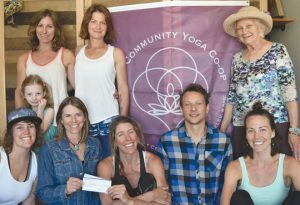 MOVEMENT WITH A PURPOSE: The CB Community Yoga Co-op has been collecting donations during their free Sunday classes. Over the winter and spring they collected $411 for Living Journeys. 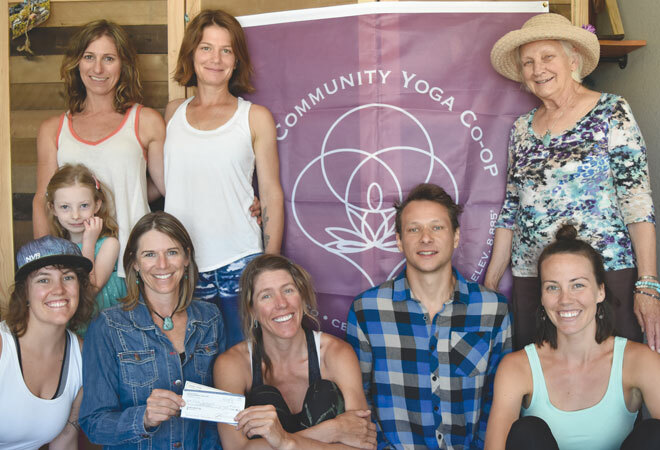 Some of the Co-op teachers handed over a check to Darcie Perkins. Free healthcare and free college. Our public lands and wilderness areas. They’re pretty spectacular compared to a lot of places. Freedom of speech. Get out there and vote! If we mixed all of our perspectives. We’re all looking at the same things differently but no one is wrong.